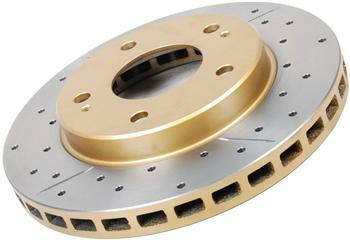 DBA Brake Rotors - Street Series - Performance Auto Parts - Car and Truck Accessories | JM Auto Racing - Intensify Your Ride! - The unique Kangaroo Paw ventilation system is designed to minimize brake fade and increase braking effectiveness. - The 72 chamfered drilled holes provides a quieter, more responsive and smoother brake pedal feel. - The T2 universal slot design eliminates the need for left and right hand discs. One disc fits both sides.